Frontline beach elevated complex with well maintained communal gardens and swimming pools and a beach promenade. All apartments have panoramic sea view. Some of the apartments and all the penthouses have view to the Straight of Gibraltar and the coast of North Africa. Southeast – South – Southwest facing depending of the apartment. All day sun. Spacious apartments with covered terrace and garden apartments Spacious duplex penthouses with ample covered and open terraces equipped with a private swimming pool. Choices from 2 to 4 bedrooms apartments from +/- 125m2 to 205m2 plus terraces from +/- 25m2 to 200m2. Light and sunny Garage places, storage, parking Enclosed complex with 24h. security We have a few 2, 3 and 4 bedroom apartments and penthouse for sale with an asking prices that varies from 350.000 up to 1.300.000€. Please inquire. 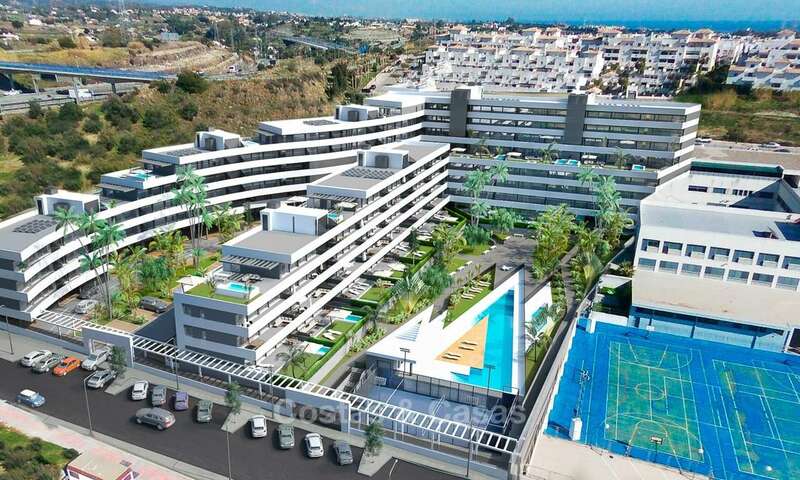 This is your opportunity to purchase an apartment of high standing and superb quality in a privileged, beachfront location and situated at walking distance from all amenities and the centre of Estepona. 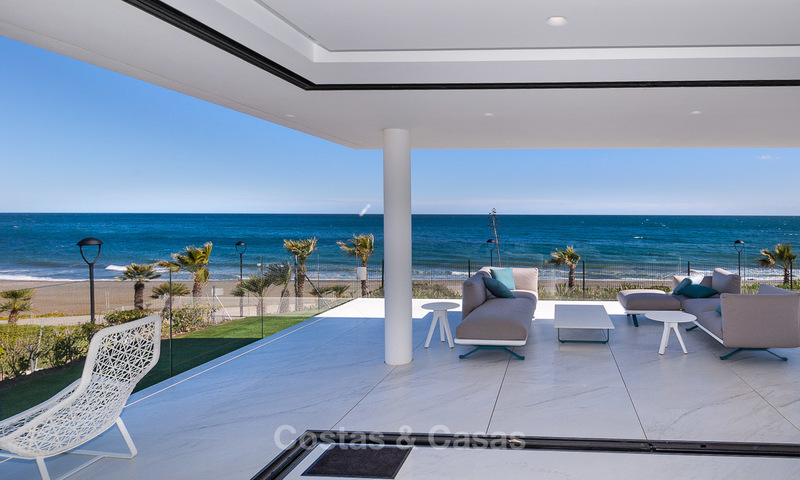 Luxury beachside Apartments and Penthouses for sale, Marbella - Estepona. Gated secure complex at easy walking distance to the beach and a golf course. Only a 1 minute drive to a commercial centre, and only a few minutes to San Pedro and Puerto Banus - Marbella. Under floor heating throughout, air conditioning. The penthouse has a private lift and a huge roof terrace with a private heated pool. 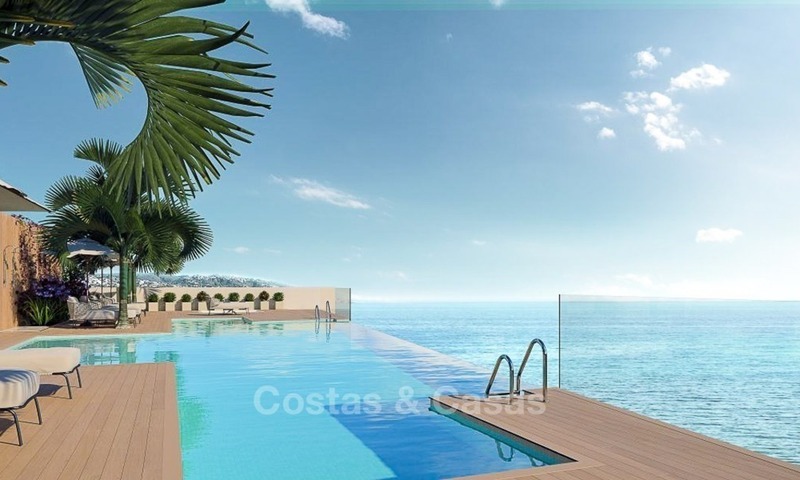 2 bedroom, 2 bathroom apartment Interior: 142m2, terrace: 48m2 € 535.000 3 bedroom, 2 bathroom apartment Interior: 173m2, terrace: 63m2 € 655.000 4 bedroom, 3 bathroom penthouse with large solarium and private heated pool. Interior: 227m2, terrace: 159m2 € 995.000 These are asking prices where you still can negotiate. 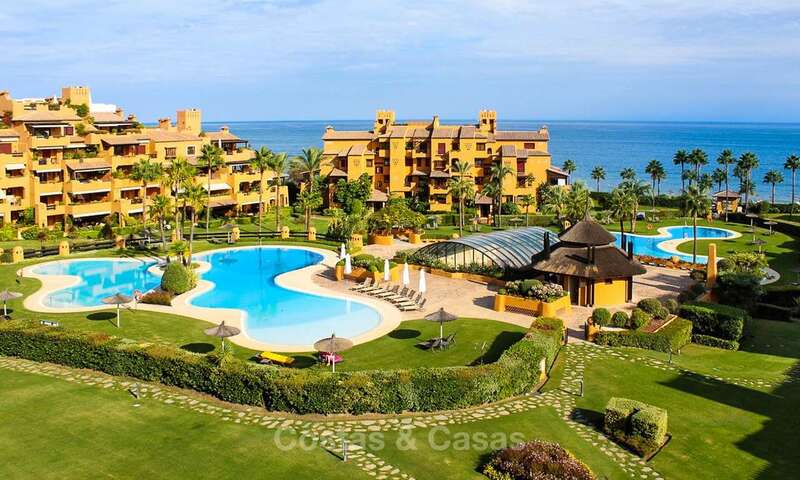 Apartment for sale in Estepona beachfront - Costa del Sol Front line beach gated complex with security and beautiful communal gardens ans pools Sea views Walking distance to shops and harbour, over a beautiful promenade and passing by several beaches. Update: The last new apartment, 2 bedrooms, 2 bathroom, guest toilet, 130m2. With the possibility to convert the adjacent storage of 43m2 with separate entrance into living space or a 3rd and 4th bedroom. 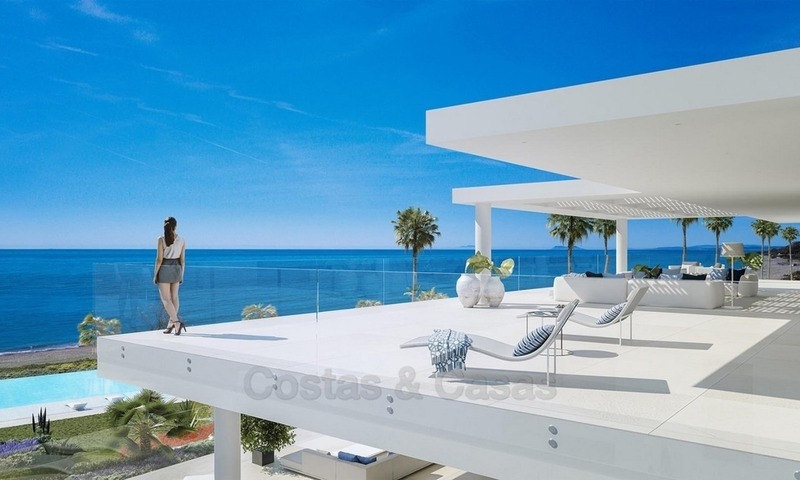 Estepona New Golden Mile for sale: beachfront penthouse Frontline beach development with direct access to the beach, located on the New Golden Mile between Puerto Banus (Marbella) and Estepona centre. 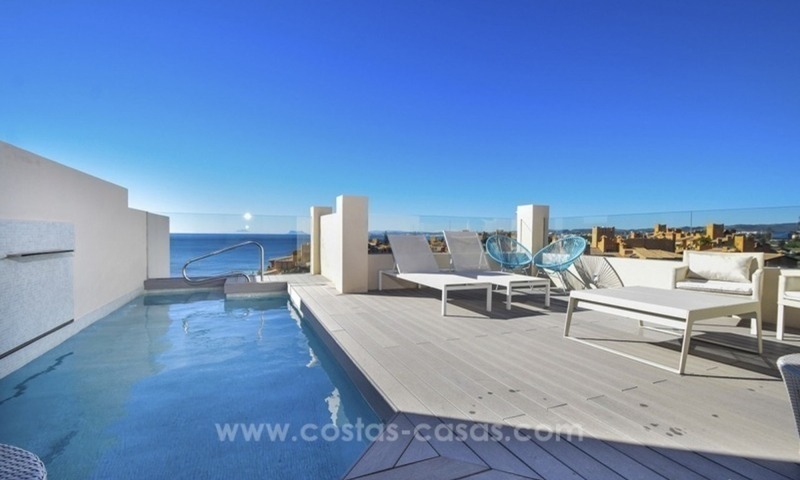 Duplex penthouse with private plunge pool on the roof terrace. 4 bedrooms, 4 bathrooms Southwest orientated with beautiful sea and mountain view Garage and storage First line beach complex with communal gardens and 2 pools, gym, paddle-tennis and 24h.security.